Deaf children have the potential to attain and achieve the same as any other child, given the right level of support. Most teaching and learning, all the way through the stages from EYFS, KS1 to KS2, takes place through the main senses of sight and sound. 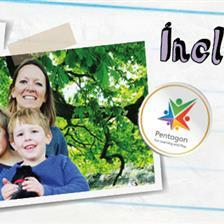 This presents deaf children with particular challenges. Just as no two children are the same, there is a considerable variation in the levels and types of childhood deafness. Children who are deaf may have a permanent mild, moderate, severe or profound hearing loss in one or both ears, or a temporary loss of hearing such as glue ear. They have a diverse range of needs, including the amount and type of learning support that they need, an understanding of the ways in which they prefer to communicate, and the type of hearing technology they use, if any. Whatever the level of deafness, it is essential that deaf children have access to and opportunities for outdoor play and activities for the same reasons that children with full hearing need to get moving outside. 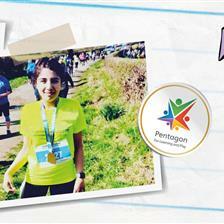 Regular physical activity and physical fitness are especially important in maintaining the health and well-being of children of all ages and all abilities. Several studies have shown that deaf children are more likely to have difficulties with balance than their peers who have full hearing. There can be several causes to balance disorders and a balance disorder isn’t always associated with hearing loss. However, some balance problems occur when the balance system in the inner ear does not work properly (vestibular hypofunction). Examples include balance disorders caused by glue ear, congenital sensorineural hearing loss, or an enlarged vestibular aqueduct (the tiny bony canal that extends from the inner ear towards the brain). With vestibular hypofunction, the development of a child’s balance function may be delayed so that a baby or young child can take longer to reach developmental milestones such as sitting unsupported or walking. An older child may find some activities such as learning to ride a bike or scooter more difficult. A balance disorder will usually have an effect on motor performance, especially in dynamic and sporting situations. However, because physical activities are so important for a child’s development, good health and well-being, a balance problem cannot be allowed to stop a child from getting involved with and being allowed to take part in physical outdoor activities. On the contrary, there are many great outdoor activities that can help a child to improve balance and motor skills, focusing on learning balancing techniques and improving strength and body awareness. When teaching deaf children outdoor games and activities, good communication is absolutely key. A child’s safety and ability to learn and participate properly will depend on their understanding of the information and instructions given to them. Effective communication is at the heart of all learning, and is essential for the proper social and emotional as well as physical development of all children. Even a mild hearing loss can result in significant communication difficulties and misunderstandings. Deaf children are usually already effective at meeting their own communication needs. Some children may have some hearing which is supplemented by hearing aids. Others may have no functional hearing and may rely entirely on signing, such as Makaton, or lip reading, or a combination of the two. Before your outdoor activities begin, explain to other children in your class group that a deaf child is present and able to communicate. Show the group what to do to communicate with each other, encourage them to work together as a group and make sure everyone in the group understands. Make sure that you have the full attention of all of the children before you start talking and giving instructions. Then speak clearly and at your normal pace. If you speak slowly or exaggerate your mouth movements, it will be harder for a deaf child who is used to lip reading to understand you. Shouting and whispering will also make mouth patterns harder to follow. Always make sure that a deaf child can see your face and lips when speaking. Never put something in front of your face, or talk with your back to the group, as a child who is lip reading will lose their communication with you as if you had just stopped talking. This is easily done when teachers need to turn away to pick up a piece of equipment. If you have to do this, pause and only continue speaking when you are back in the line of sight of the deaf child. Do not stand with your back to a light source while you are communicating, as a glaring light or a shadow cast across your face can obstruct a deaf child’s view. Outdoors it is important to remember the range at which a child with partial hearing or hearing technology can hear you effectively, and to try to stay within those boundaries where it is practical to do so. You can prepare a deaf child for what is expected of them in terms of following instructions and show them visual signs as you explain instructions. You can set up a “stop/look” strategy which combines visual and audible signals. This could be something like waving a coloured flag and calling out an instruction to “freeze!” Give all the children a chance to practice this so that it becomes an instinctive reaction for them to stop, stand still and look at you when the flag goes up. In a similar way to the “stop/look” strategy, establish an emergency signal such as a specific coloured flag, which you can wave to signal that the group needs to stop and assemble at a designated place when you need to deal with an emergency situation such as an injury. Sometimes it can work to pair a deaf child with a “hearing buddy” who the deaf child can watch to see when an instruction has changed, and who can be responsible for helping a deaf child to notice a new instruction. This can be beneficial for both children as the buddy learns new ways of communicating and social and emotional responsibility. Establish a predictable pattern of activity when you take your children outside, so that they all become used to the routine of an outdoor games session, for example where to gather at the start and end, some warm up exercises, where to gather for a drink of water etc. This saves a deaf child having to follow varied routines all the time and gives them freedom to anticipate activities themselves. Involve a deaf child’s hearing peers and have a go at teaching the whole class some key Makaton signs (or similar signs that the deaf child is used to using) relevant to outdoor games. This will allow them to work better as a group, be more inclusive, and teach them some important and relevant communication skills. Encourage hearing children in the class to follow the same principles that you are using yourself to communicate with a deaf child. Install a Mark Making Panel such as a Chalkboard on a playground wall so that you or the children can easily and quickly write down words or symbols that might help explain what you or they are trying to communicate. Consider some adaptations to improve the listening environment, for example, by reducing background noise. Background noise can be very distracting and make it harder for a child with partial hearing or hearing technology to hear, particularly if background noise is louder than the speaker (and this is often the case when teaching energetic children outside!) Where feasible, try to hold your outdoor activity sessions away from areas where there is noise from traffic. 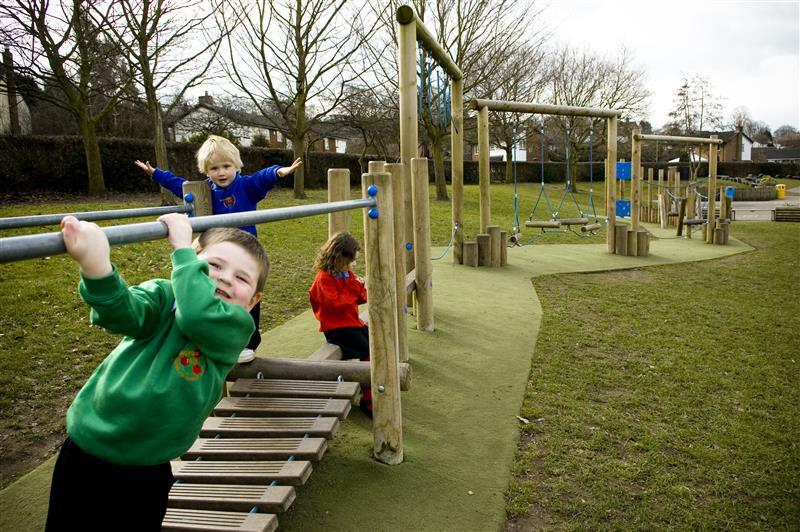 Consider softer playground surfaces that absorb sound rather than bounce sound as an alternative to tarmac. 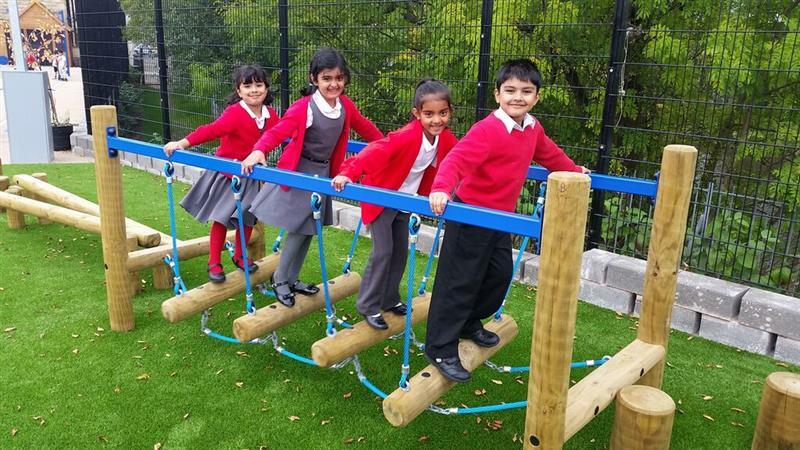 Playbond is a great playground surface that is more sound and impact absorbing, and better at protecting children with balance problems, who are more likely to fall, from accidents and injuries. Have a look at some of our Playground Surfacing for ideas. Balance is an important skill to help all children progress with their gross motor skills, physical fitness and general activities of everyday life. Good balance allows a child to participate in outdoor games and physical activities with greater success. With better balance and coordination there is a smaller chance that a child will stumble and suffer injury, as he or she will have better postural responses when they are needed, such avoiding a trip or putting their hands out to protect themselves from a fall. If a child can develop better and more controlled body movement which reduces the amount of energy required to perform a task, they will be less likely to suffer from fatigue. Deaf children who have simultaneous balance problems need extra encouragement and support to help them improve their balance where they can, and/or improve their strength and body awareness. 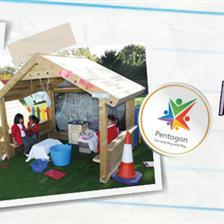 There are some brilliant outdoor activities for children that can achieve just this. Here are some ideas to work on both static and dynamic balance, just remember good communication! Be aware of a deaf child’s specific needs and level of support required. As with any child, if they need it, hold their hand for any or all of these activities until they feel confident enough to try it alone. Jumping along a Hopscotch or similar Playground Markings requires a child to change movement patterns quickly. Sitting, kneeling or standing on a platform swing or suspended ladder requires varying degrees of balance. When swinging equipment moves in unexpected ways it forces the body’s trunk to do more work and improves core strength. Moving over unstable surfaces such as moving bridges, or just simply beanbags on the floor, mean the trunk has to do more work to keep upright. 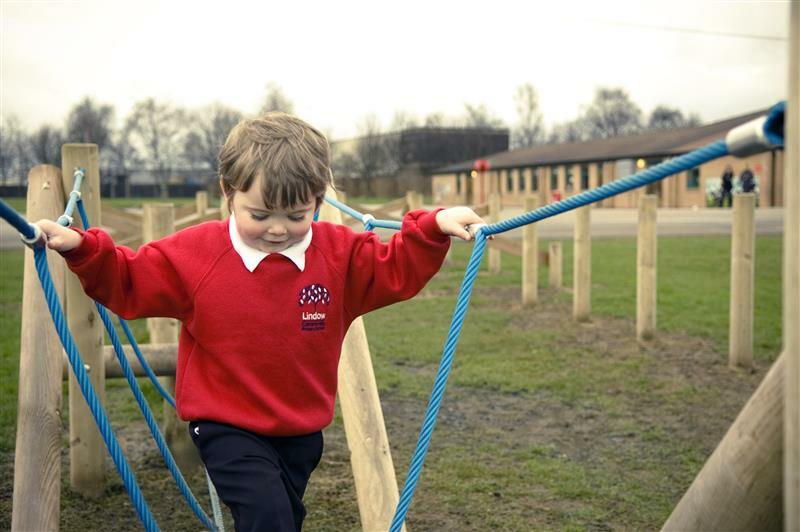 Walking over balance beams, rubber tyres, and stepping stones or logs with big jumps will really challenge a child’s balance as well as allowing them to have a lot of fun travelling across the playground in new ways! If this is too adventurous, start off by marking a line across the ground with chalk to make a pretend balance beam that is flush with the ground. This will help to reduce the fear or risk of falling until the child is ready to progress onto a balance beam. Group games such as football, netball, cricket and rounders work well for everyone and particularly for deaf children as they have clearly defined rules. Staying in position to catch, hit, kick or throw a ball all requires balance. Grab a bat and a ball and have some fun! Riding a bike, trike or scooter and navigating across a playground require a child to make frequent changes to their posture to maintain balance. Stand on top of a bosu ball, balance board or a stool on one leg. This is challenge in itself but can you jump and down? Before attempting this, try standing with one foot on the ground while the other foot is resting on the stool, ball or balance board in front. You can then progress to standing on one leg or up on a higher level. If this becomes too easy, try catching and throwing a ball to friends at the same time! Have some fun on a trampoline! Jumping up and down without falling will work on balance and body strength and it’s a great aerobic activity too! Try standing on just one leg. To make it even harder, ask someone else to jump on the trampoline while trying to keep balanced! Trampolines are brilliant because if you do take a tumble, it’s a gentle landing. Once you have mastered doing all of the above, have a go with your eyes closed! Balancing with your eyes closed is much harder than with them open. You can be creative and change the level of difficulty of all of these activities as your children progress and learn to use their muscles properly to adapt to changes in movement and environment. Ensuring that children are well supervised and supported throughout all of these activities is very important to reduce the risk of injury. Use mats or safety surfacing where there is a risk of falling. 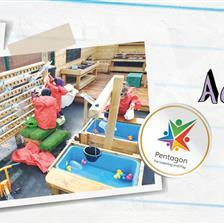 As children gradually build their confidence they will be able to carry out the activities with greater ease. 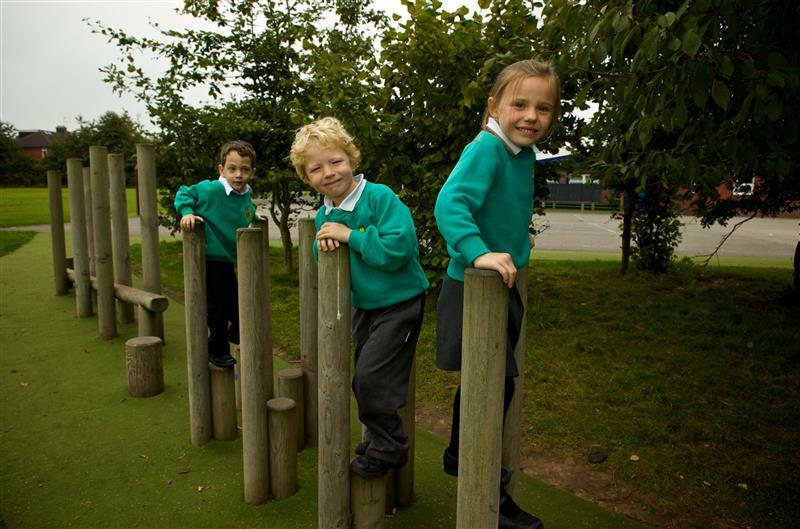 We have some great playground products to help children work on their balance. 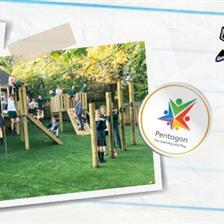 Trim Trails, Balance Beams, and Kinetic Playground Equipment are particularly brilliant for this! Have a look at our website and please do Contact Us for some ideas as to how we can help you improve your playground for deaf children.